When I first came to Las Vegas, my husband and I asked a friend how she knew about all the activities in Las Vegas. She said she subscribed to the Las Vegas Review-Journal and kept on hand the Neon magazine distributed with the newspaper on Fridays. The Neon, she told us, was a complete listing of entertainment activities. We took our friend’s advice, and I, too, hang on to the Neon for an entire week until the next Neon is printed. 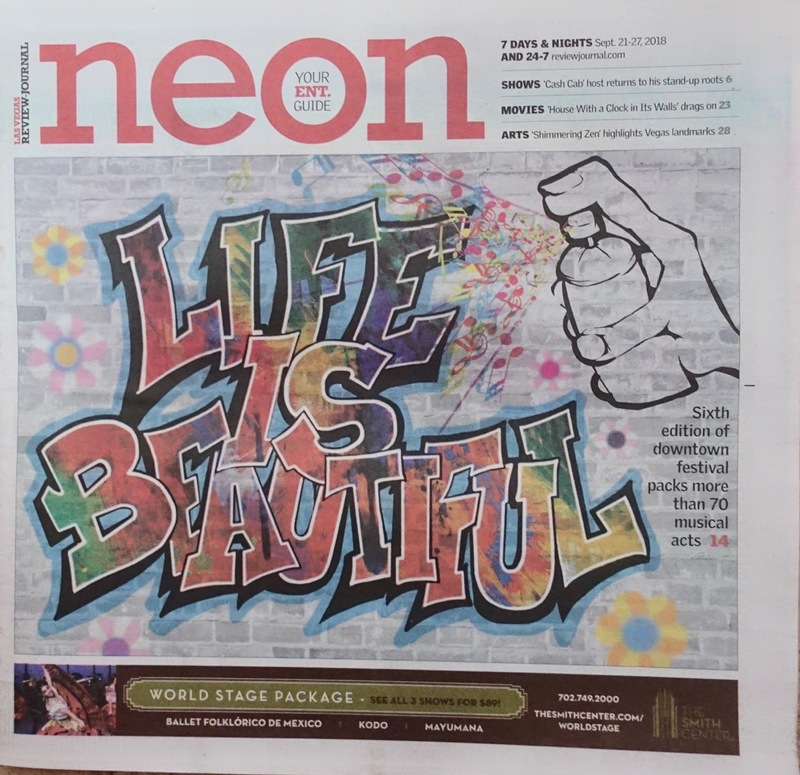 Typically the Neon features a few larger stories about upcoming entertainment offerings along with a great listing of everything happening around town currently, upcoming shows, arts & leisure listings, movie reviews and ratings, several pages of food and drink options and a few coupons. 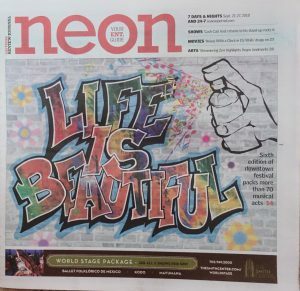 The Neon is in color and yes, it has ads, but they are typically ads for entertainment and dining options and fit the objective of the publication. Do I read all the listings every week? No, but I do read John Katsilometes‘ column every day. 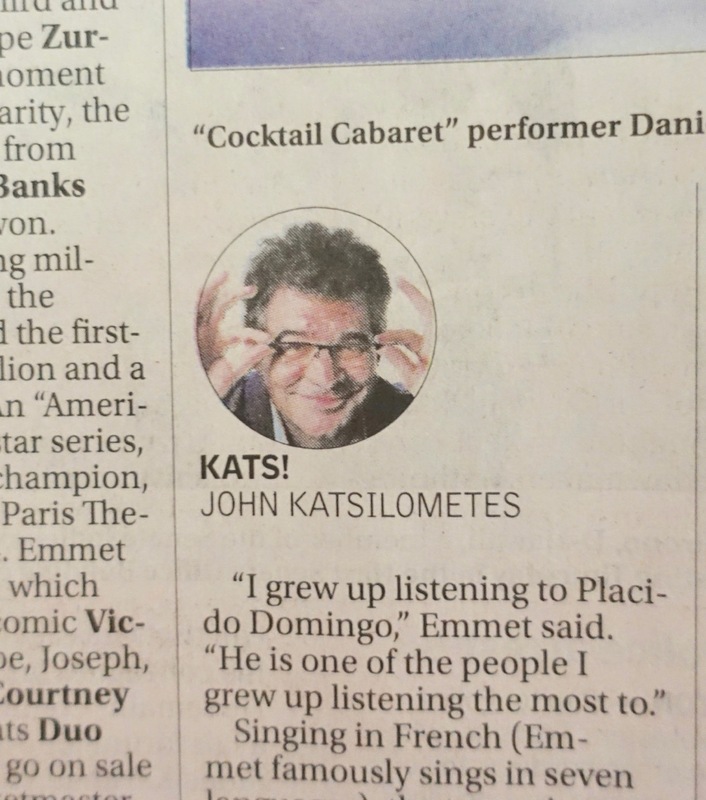 “Kats” is the Review-Journal’s entertainment writer and he seems to cover everything: interviews with the major stars, opening nights, shows in off-the-Strip venues, charity fundraisers, weddings, funerals, celebrity auctions, etc. Kats also makes TV appearances and uses the internet (tweets, etc) to communicate with his audiences. 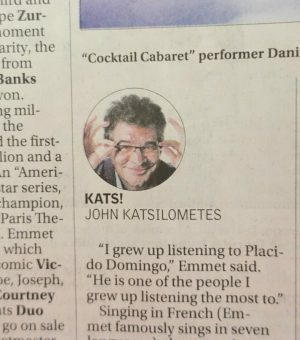 John Katsilometes is a good source of local intel about performers in Las Vegas. I have a friend, Darla Randolph, who is a real estate agent with Berkshire Hathaway and she distributes a rather “interestingly” laid out listing of what’s happening locally called Vegas Friday Buzz. I read through that listing, too, and often find notices of events that I had otherwise missed. Yes, you get a few ads with the Berkshire Hathaway listing, but it is useful nonetheless. The Las Vegas Advisor has a time-honored resource for locals and tourists alike. And then there is the Anthony Curtis’ Las Vegas Advisor and its monthly newsletter. 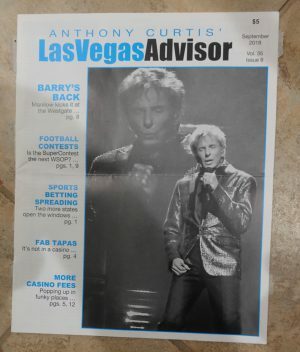 My husband and I subscribed to the monthly Anthony Curtis Las Vegas Advisor newsletter even when we lived in Chicago. The newsletter gives a number of very useful reviews of local entertainment and restaurants. The newsletter also has a listing of “Las Vegas’ Top 10 Values” and that always gets my attention. In addition, the Las Vegas Advisor coupon book has a number of useful coupons for buffets, dining, drinks, shows, attractions and gambling. The web site has still more information and occasional other coupons. Cost for a year of Las Vegas Advisor membership: the newsletter mailed each month and the coupon book picked up at the Advisor office: $50. 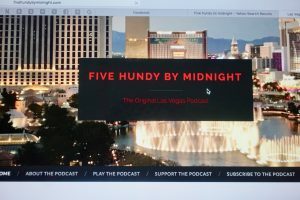 And as if I still can’t get enough Las Vegas information, I also listen to a weekly online podcast called Five Hundy by Midnight. This podcast, started in 2005, is all about Las Vegas. It is hosted by Tim and Michelle Dressen who are Vegas fans living in Minnesota. They frequently visit Las Vegas and love the town. They deliver major Las Vegas news and are quite candid in their views … and in their language. (Be ready for a few F-words along the way.) Aside from the Dreesens bringing the latest Las Vegas news to their listeners, their podcast includes calls from visitors to Las Vegas reviewing bars, restaurants and shows they have seen. In many ways these calls are THE most helpful reviews of Las Vegas happenings. Listeners don’t pay for the podcast per se, but fans of the show are urged to make contributions to the show via Patreon. 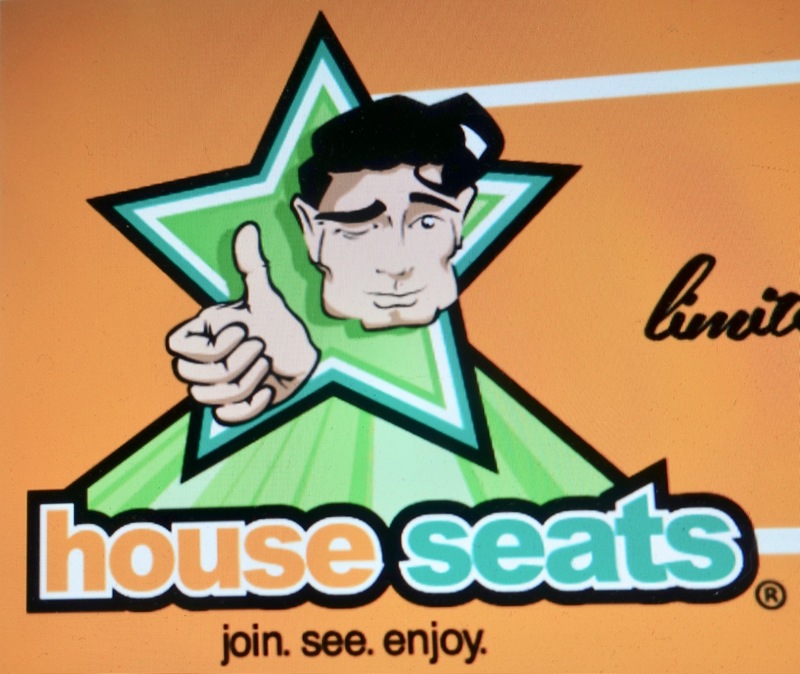 And finally, many local Las Vegans who enjoy live entertainment join an online site called House Seats Las Vegas. 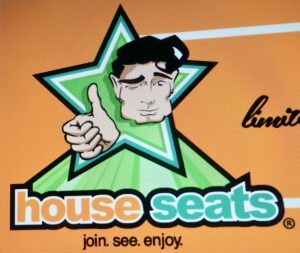 For the site’s best prices (either $49 for two seats or $99 for four seats), members can get no-cost tickets to a variety of local entertainment offerings. The shows register on the site, hoping the guests will fill empty seats AND buy drinks or dinner or gamble at the establishment hosting the show. Some great shows are typically listed on the site, and even for shows that a member doesn’t enjoy so much, at least the price is right. Gong on the site early in the day typically gets the best results. Vegas can be fun, day or night….if you know what’s happening! Thanks! I have a few more places to check!